Rackspace faces several challenges in its SEO campaign, both internally and externally. Rackspace’s SEO campaign has been active since 2011, and is driving a significant percentage of visitors to the company’s website. 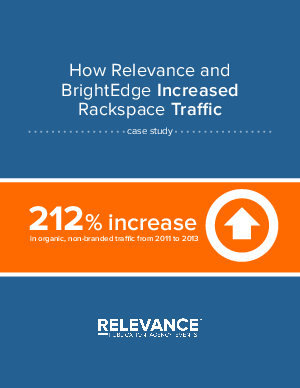 Rackspace’s overall goal is to increase revenue through lead generation and customer education. It can attain that goal by constantly improving rankings on a large scale and continually increasing organic traffic to its website.